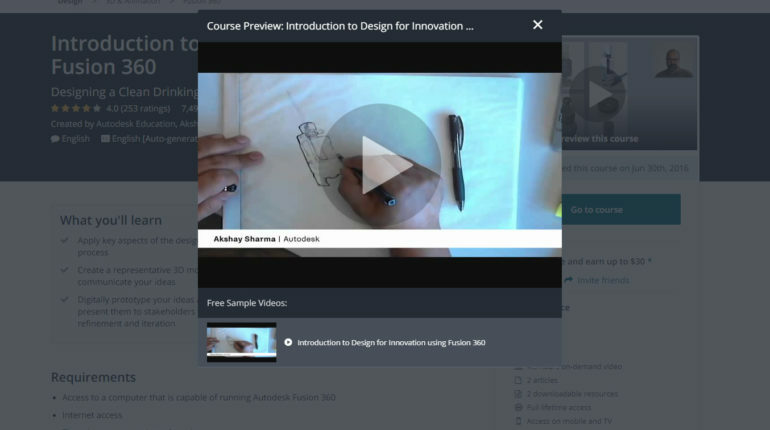 Very fun and cool course learning design thinking and using Autodesk Fusion 360. Fusion 360 is a very powerful and FREE cad software. This is a free course for beginners and a course a recommend a lot. You can not ask for more and you get it all for free.